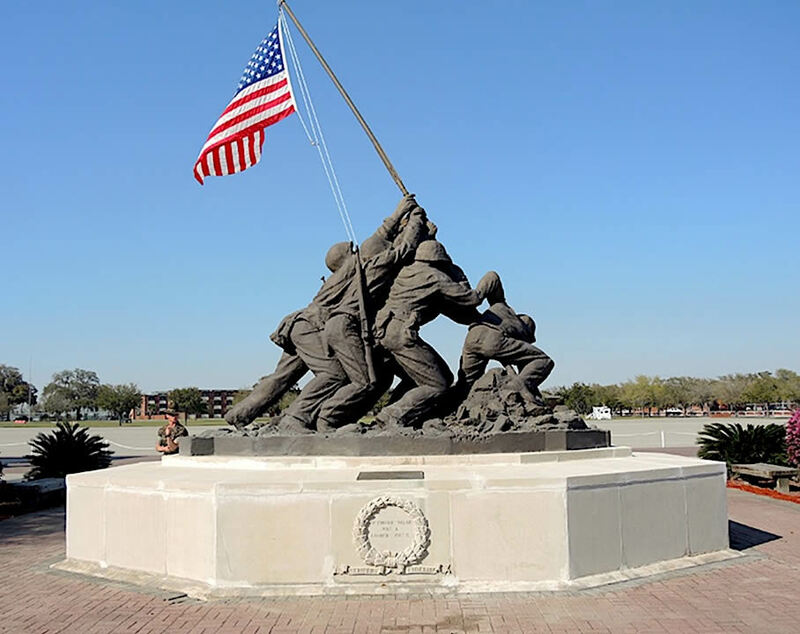 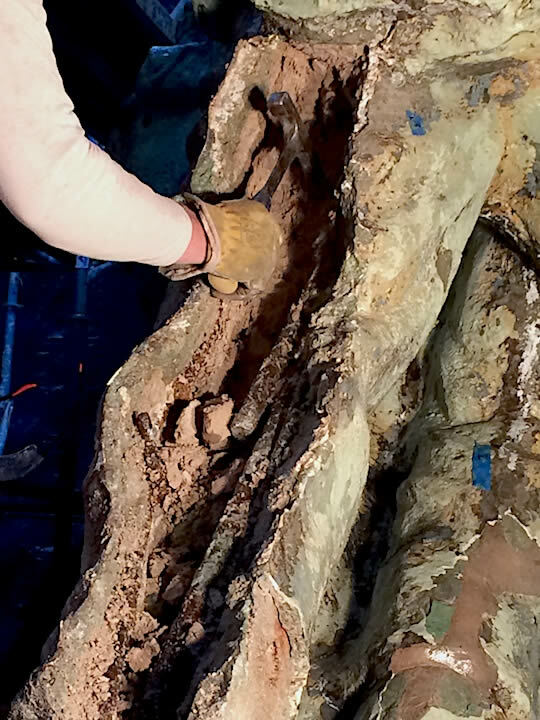 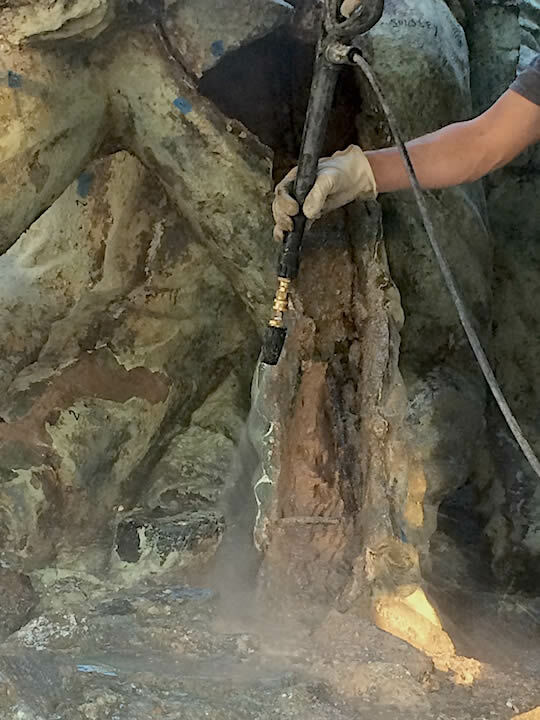 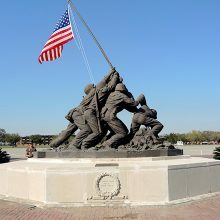 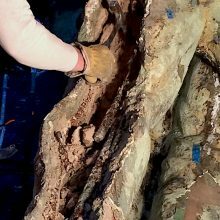 We were subcontracted by Terra Mare Conservation, LLC (TMC) as part of a highly experienced, interdisciplinary team gathered to conserve the Iwo Jima Monument, located on the parade deck at the Marine Corps Recruit Depot. 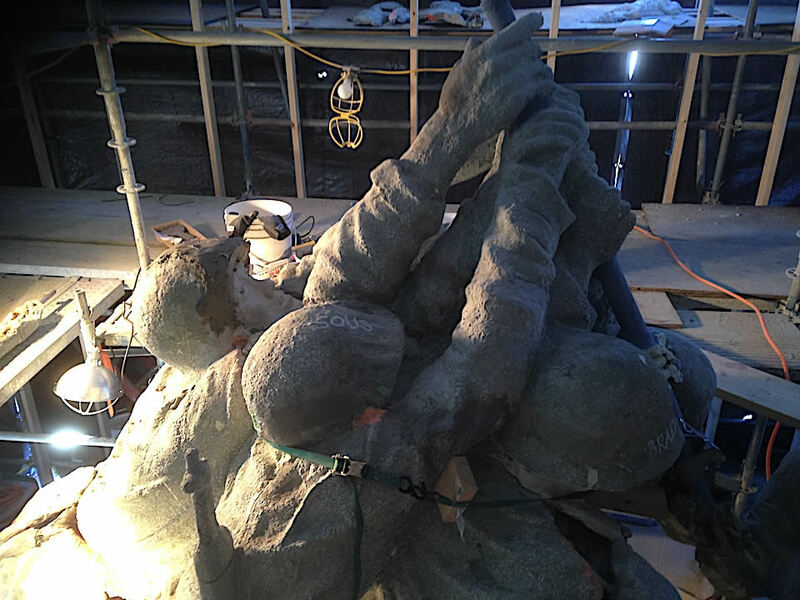 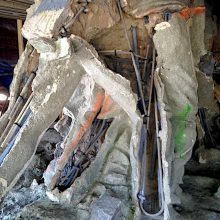 The treatment was based on the assessment our firm performed in understanding the causes of the deteriorating concrete sculpture of the iconic group. 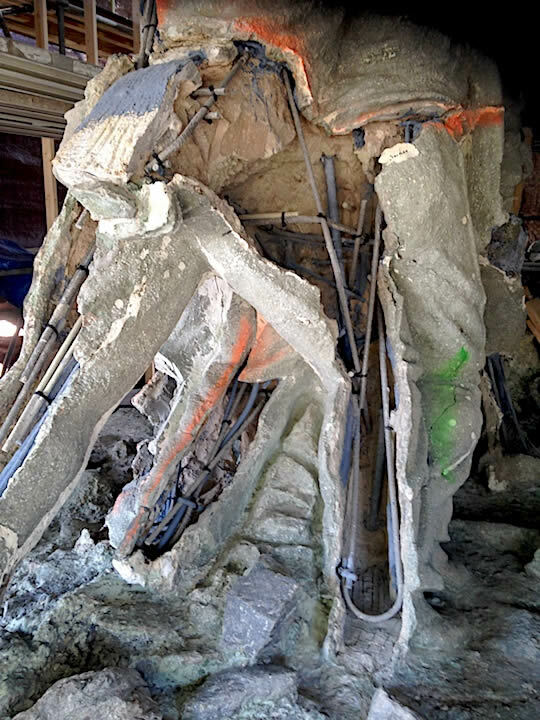 The goals were to reverse deterioration of the sculpture caused by severe cracking of the concrete from corrosion of internal rebar due to continuous ingress of water, dissolution of the clay core, and the application of impermeable and inflexible coatings preventing the escape of moisture from the saturated construction. 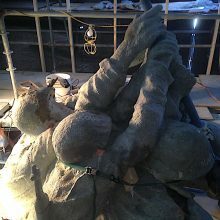 Work entailed removal of all coatings and previous repairs, partial disassembly of the sculptures sections, excavation of saturated and failed core material, corrosion mitigation and replacement of failed rebar, application of a corrosion inhibitor, re-construction of the original concrete sections, crack and surface repair, repair of the flagpole, and an application of a new coating system appropriate for concrete. 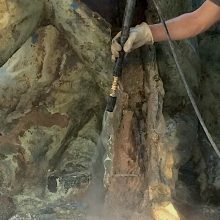 All stages were thoroughly documented and maintenance recommendations were provided to the client.